We enjoyed our county fair this past week, one of the events that we look forward to every fall. This upcoming week is an exciting one for my kids. They have the fall festival at their school on Thursday and the Halloween class parties on Friday. The days of sending home-baked goodies to school seem to be over. 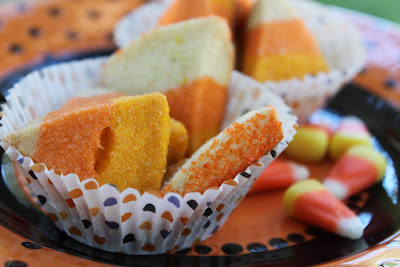 But, that doesn't stop me from baking fall goodies for my kids. 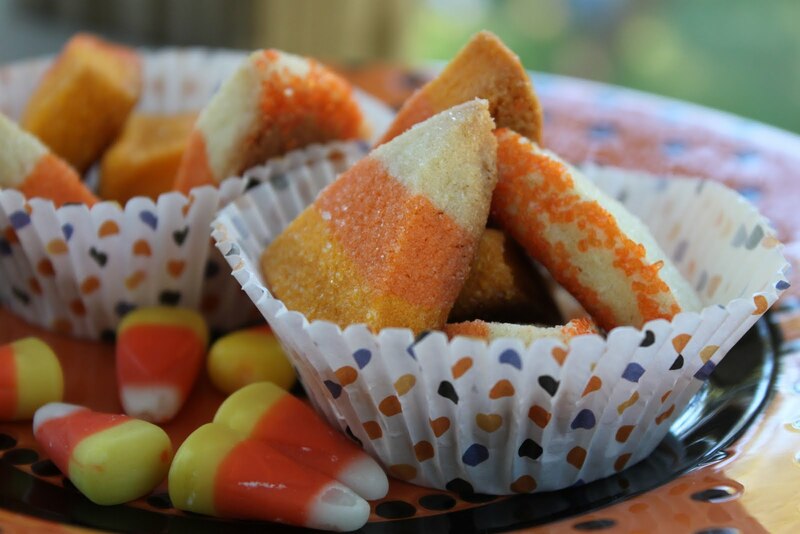 One of the cookies that are a tradition in our home are these Candy Corn Cookies. I've been making them every year for the past several years. I use the recipe from Land O Lakes. Heat oven to 375°F. Invert loaf pan to remove dough. Peel off waxed paper. Place layered dough onto cutting surface. Cut loaf crosswise into 1/4-inch slices using sharp knife, trimming edges to make even, if necessary. Cut each slice into 6 wedges. Place 1-inch apart onto ungreased cookie sheets. Bake for 7 to 10 minutes or until edges are firm and bottoms are very lightly browned. Cool 1 minute; remove from cookie sheets. Immediately place warm cookies in bowl with sugar; roll in sugar to coat. Place cookies onto wire cooling rack. Cool completely. I added some colored sugar to the edges to jazz things up a little. This one recipe makes a ton of cookies, approximately six dozen. Plenty for the kids to share with their friends. Let the week of fall festivities begin! 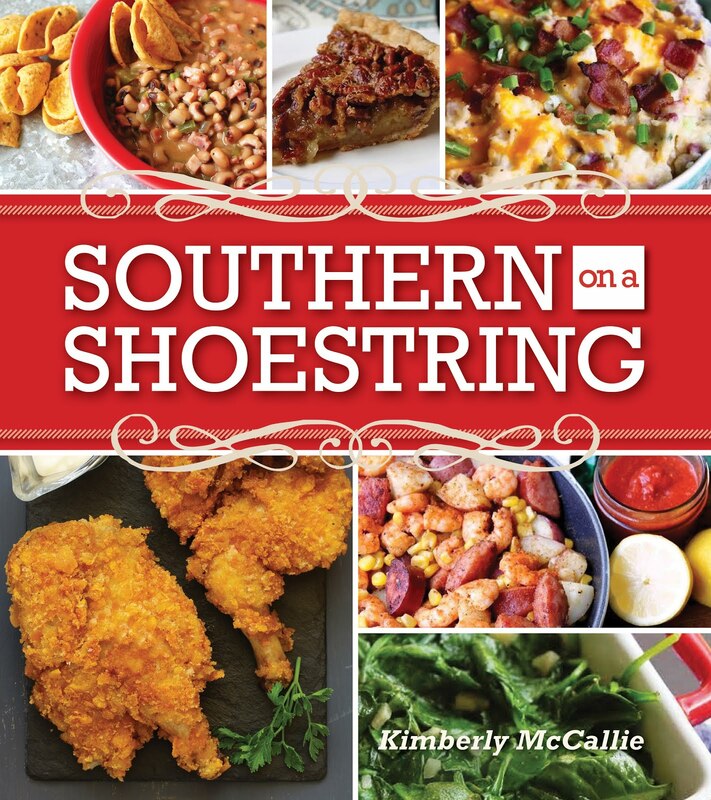 If you're a fan of Serena Thompson's Farm Chicks, stop by and read my review and enter to win both of her cookbooks: Farm Chicks in the Kitchen and Farm Chicks Christmas: Deadline is Nov. 1, 2011!!! Click here to enter the giveaway! 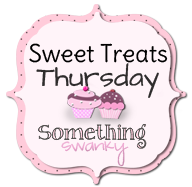 Join my linky part on Sweet Indulgences Sunday. Those cookies look awesome and yummy! I think these are my favorite candy corn treat I have seen this year. Of course it is the sparkles that does it for me! How gorgeous. These are just little jewels. These are so cute, and the process is far less complicated than those I've made in the past. 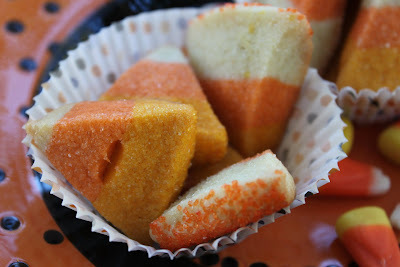 I just LOVE these and with my "addiction" to candy corn, it will be added to sweet treats to make for Halloween! 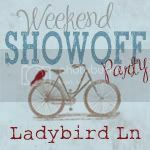 Thank you for hosting the party!! Great to see you. 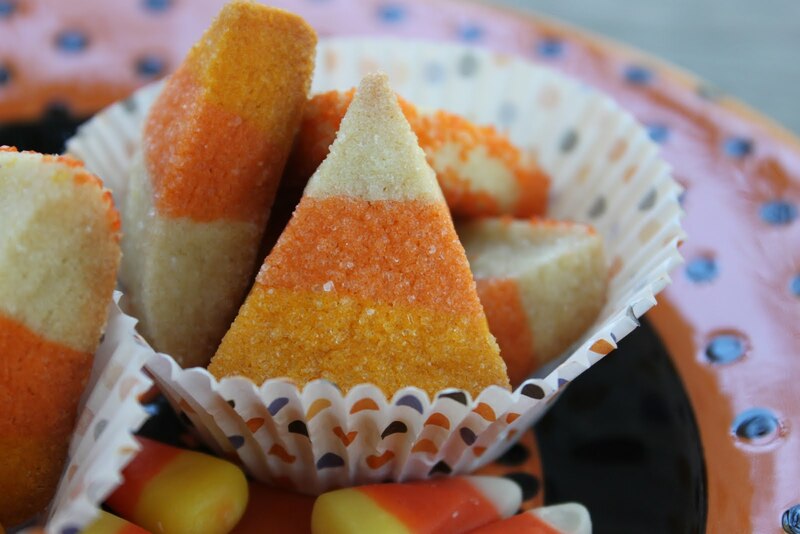 These candy corn are just the prettiest candy corn that I have ever seen!! These are adorable! I can't wait to try these. I've always had a soft spot for anything candy corn. So, so pretty! Doesn't sound too difficult either. Great idea! These are adorable! I love all things candy corn. Those are beautiful! I love the sparkles! I freakin love these!! I wish there were more days before halloween to bake!! Darn! Ill save this recipe for next year!